A school situated amidst the forest for the tribal children of the area and a specially designed curriculum that integrates today’s educational requirements, Vidya Vanam is truly different. To ensure that children from all backgrounds are free to voice their opinions and think critically, the school is providing a conducive learning environment for its students. Prema Rangachary, the director of the school, started Vidya Vanam in order to provide quality education to underprivileged children. While working with the teachers in Balwadis and Anganwadis in and around Anaikatti, Tamil Nadu, Prema often came across parents (mostly daily wage earners) who wanted their children to speak English just the way she did. These people then started asking her, “Why don’t you start a school here?” and that’s when the idea of Vidya Vanam started taking root. “Most of them wanted quality education, but could not afford to send their children to schools in the city. They saw education, especially English education, as a passport to a better life for their children. Vidya Vanam was a response to this request,” says Prema. The school began in July 2007 with 20 children and by the end of the month, the number had increased to 40. At present, there are 293 children studying in Vidya Vanam. 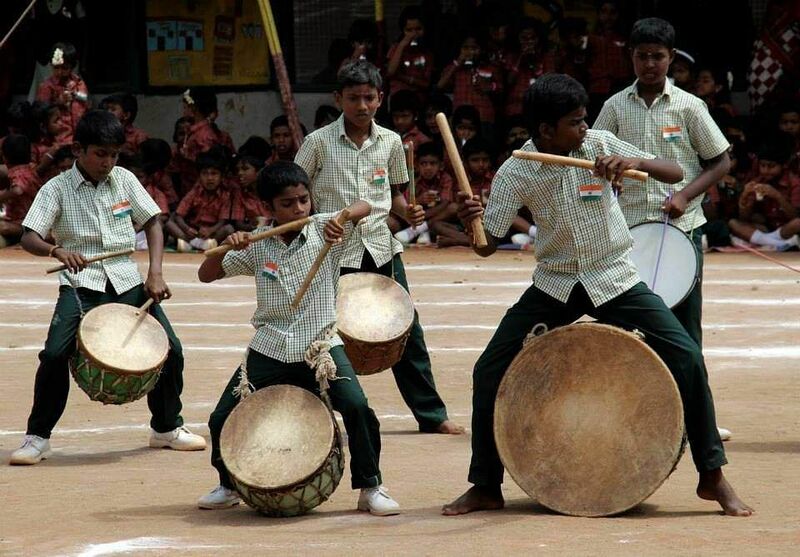 Most of the students are from the Irula tribe, the Adi Dravidar communities and the OBC categories. The teaching is bilingual — in Tamil and English. “When Vidya Vanam started, it was with a mission to provide a fear-free and inclusive learning environment, and a specially designed curriculum. So, the school developed innovative methodologies to meet the needs of its students, one of them being that the middle school (classes IV, V, VI and VII) does not have fixed classrooms. Instead, the school has zones: Tamil, English, Maths, Science and Social Science,” explains the 75-year-old, adding that each zone is equipped with images, artefacts, models and books to help students absorb the information through visual stimuli, even if they are not fully attentive in class. Another approach is theme-based learning. A theme is selected and studied from every subject and artistic angle. Want to know the best part? There are no prescribed textbooks. So, the teachers source material from varied sources. “This way, the teacher learns as much as the children do. Since there are no textbooks, the teacher has to read a vast number of books to find the necessary content. They can compare content given in the prescribed textbooks with other publications and choose whatever works best. This process of research is transferred to the students, as they work together to represent the theme,” adds Prema. Prema strongly believes that peace and human rights education should be a part of the school curriculum. “Only then will we produce responsible citizens who will hold governments to the standards of peace and be legally protected from violence and indignity,” she concludes.